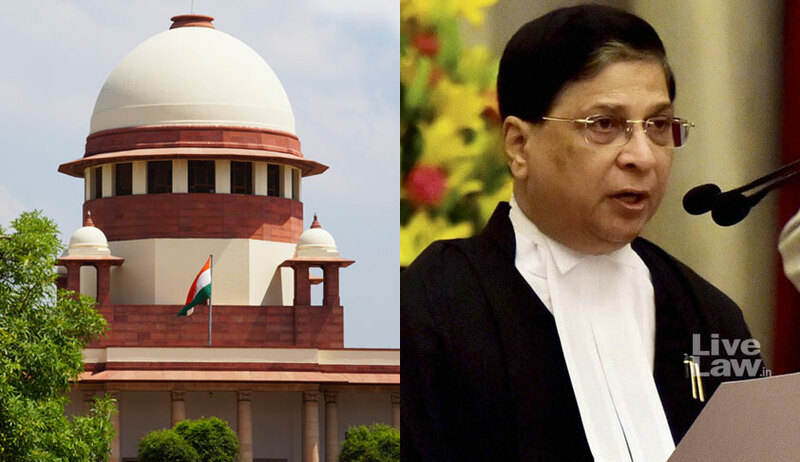 Chief Justice of India (CJI) Dipak Misra, during the morning mentioning on Thursday, permitted junior advocates also to make mentions, in addition to the Advocates-on-Record (AORs). Earlier, on September 20, 2017, the Chief Justice had restrained senior counsels from mentioning urgent matters and fresh appeals, pleas or interim applications, and made it categorical that the privilege shall be restricted to only the AORs. On Thursday, the Chief Justice remarked, “It is essential that the junior advocates also learn the art of mentioning. So they may too be allowed to make mentions besides the AORs, subject to the condition that they be very accurate”. “Articulation and preparation are the 2 requests to junior counsels making mentions in the morning,” continued Chief Justice Misra. However, the Chief Justice refused to accede to the prayer that the junior counsels making mentions be necessarily accompanied by the concerned AOR. The restraint against senior counsels engaging in the practice of mentioning was on account of a ruckus breaking out between ‘queue-breaking’ senior advocates and non-senior advocates in the courtroom of the Chief Justice during the first 20 minutes of the daily ritual of mentioning before the CJI. As a result, only designated seniors got a chance to make submissions and those clients who could not afford seniors were left in the lurch, unable to make it within the allotted time. Since the CJI is the administrative head of the Supreme Court, mentioning for listing, tagging etc can be done before the first court only.